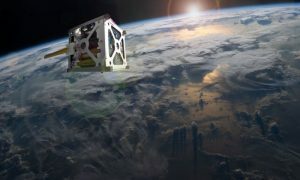 Purdue University researchers have developed a new propulsion system that grants CubeSats better range and reliability. CubeSats are relatively small in size and economical to make. This has made them a popular choice for commercial launches in recent years. However, the process to propel such satellites in space comes with its own set of problems – chief among them being the uncertainty of the propulsion’s ignition system. “We have created a lower energy triggering technology that uses nanosecond-long pulses, that allows the ignition and propulsion systems to function reliably for a very long time,” says assistant professor Alexey Shashurin. The team is now planning to participate in the National Science Foundation’s I-Corps program. I-Corps provides support for conducting extensive customer discovery with an ultimate goal of commercializing the technology.